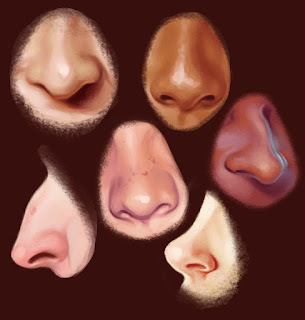 Just a bit of nose practice in some downtime. Trying out different shapes and colours. They all still look a bit too similar for my liking so more practice required. They have such character and depth of shading and colour. Very realistic and detailed.